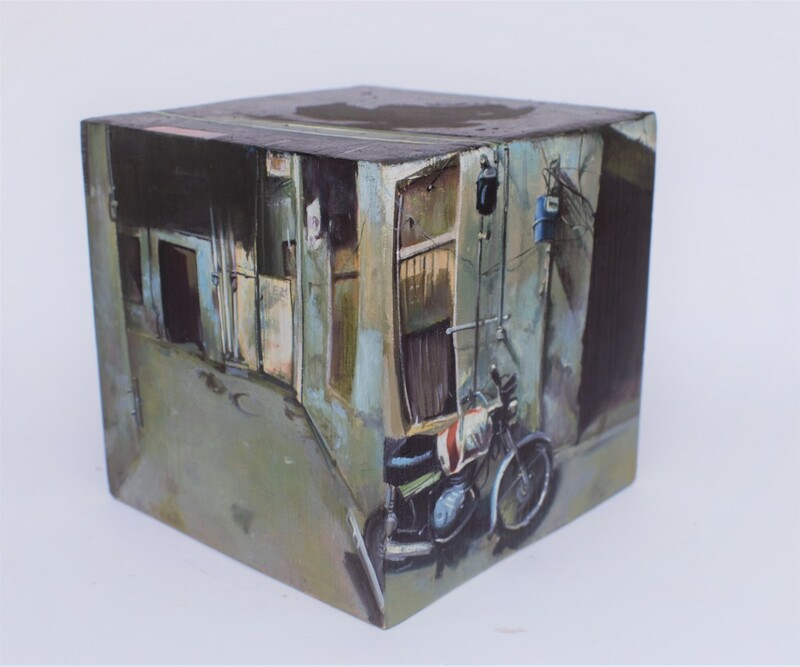 In an era of reckoning with the expanding definitions of art, the annual Graduate Degree Show at the Beaconhouse National University (BNU), School of Visual Arts and Design (SVAD) adds a germane dimension to our understanding of creative expression. The school celebrates a culture of iconoclasm leading to the mutilation and evolution of ‘Art’ (and maybe Design). Aligned with this belief system, the thesis show furthered the attempt to identify new grounds for making and sharing. The art school’s hallmark is its promising commitment to multi-disciplinary studio practices and an alternative pedagogy that cuts through national and cultural boundaries. With strong leadership and a spirited exchange of ideas within its various departments, it debates the history of ideas over the definition, intent and understanding of creative expression relevant to the changing global contexts of learning. The breaking of disciplinary boundaries is not so much a deliberate attempt to dismiss conventional routes to creativity. It is a natural, unassuming transgression, partially because the approaches to making are idea-driven, inquiry-based and laterally aligned. Hence the possibilities for outcome are immense and not so entrenched in a limited set of mediums or materials. Over the years, SVAD at BNU has managed to bring a fresh approach to visual arts in Pakistan by questioning and dismantling some conventional modes and means of artistic production, thereby encouraging alternate material for expression. The recent Graduate Degree Show too is reflective of this ethos. Crisp, high definition projections, wisely designed displays and strategic interventions within studio and outside (formal gallery space) offer an immersive experience. The graduating students adopt the role of critics, skeptics, observers and enquirers. They experiment with a range of tools and mediums to track their artistic and aesthetic concerns; light, sound, paint, mixed media, metal, interactive web design, mobile aps, augmented and virtual realities, artificial intelligence software, 3-dimensional forms, space installation, household objects, foliage and raw earth material. Bushra Mir works with artificial intelligence and auto programming in communication software. An exaggerated interplay of computer-generated, automatic word formations highlights the gap between what is understood as real and what is constructed as real. Mir challenges the idea of words having an inherent meaning and brings to surface the innate dichotomy between individual’s search for meaning and the meaninglessness of the universe. Sivasubramaniam Kajendran captures moments that have scarred his memories of war, disaster, and distress during three decades of his life in Srilanka. Large scale, high contrast figurative paintings instigate complex intimate emotions of unrest, distortion, escape, erasure and loss. Hidden in deep silence is a yearning for peace. The work is a loud cry in search for harmony and stability. Mubashir Niyas is concerned with permeating digital media and its implications on the nature of knowledge and being. He believes that one can garb one’s identity and enjoy virtual sensations that are more real than reality. Niyas explores the materiality of this medium through digital collages and interface interventions. Screen magic lures us and offers an interactive augmented space that has increasing algorithmic strength and artificial intelligence to manipulate memory and information as everyday experience. Ramsha Rubbani creates an alternate perception of space through intricate lines. Her sensitively crafted marks come together to form a constellation of organic and geometric forms. 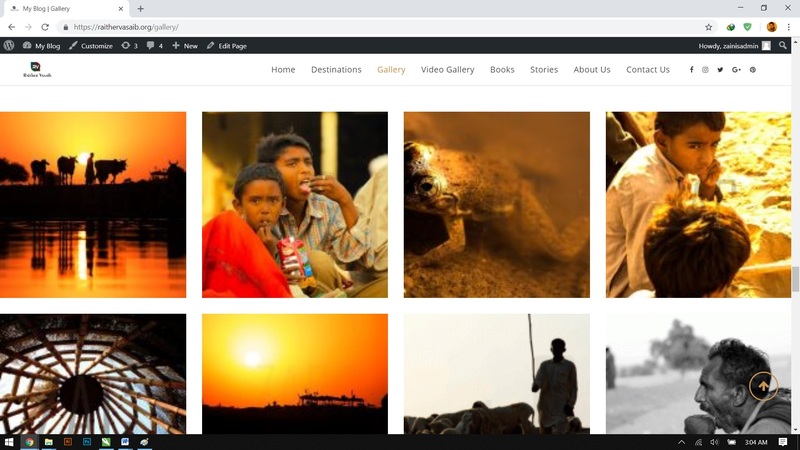 Zain Arshad develops an online archive, Raither Vasaib, on the history and culture of Cholistan. 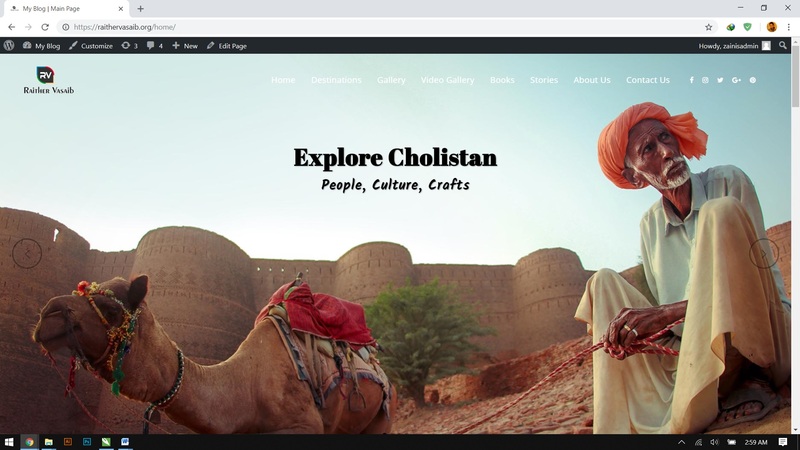 This interactive website hosts a compilation of information about their local lifestyle and demographics with an objective to pay homage to the poetry, artistry, tradition and vibrant expression of the region. Through people’s contribution, this digital collective will be an ongoing virtual database. 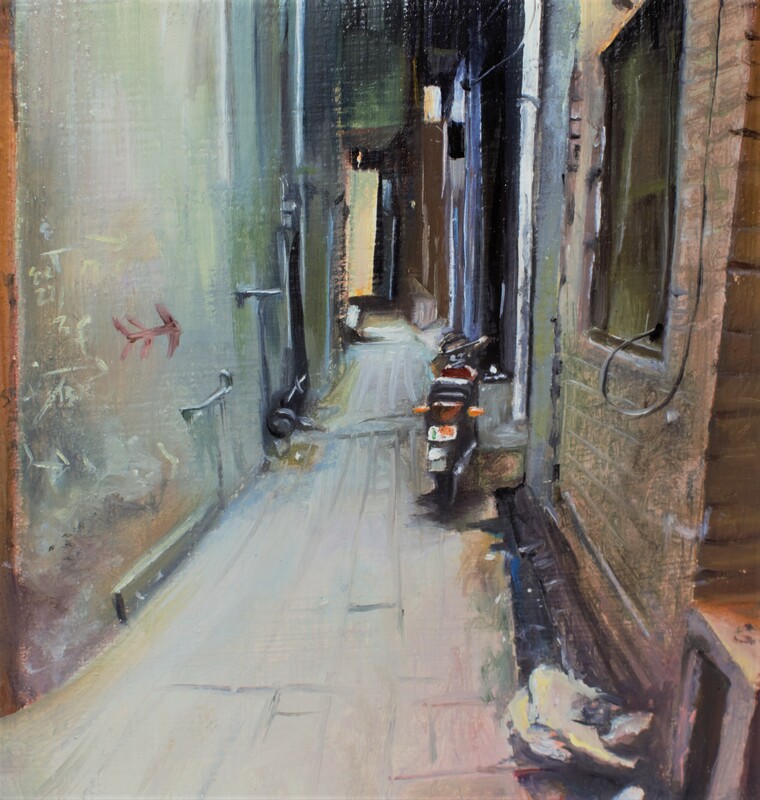 Zahra Asim goes down memory lane and revisits her childhood experiences of living in intimate, yet congested domestic spaces. Her art practice is a means to confront her claustrophobia of dimly lit rooms. She transforms her discomfort into delightful three-dimensional paintings that graze over her nostalgia. 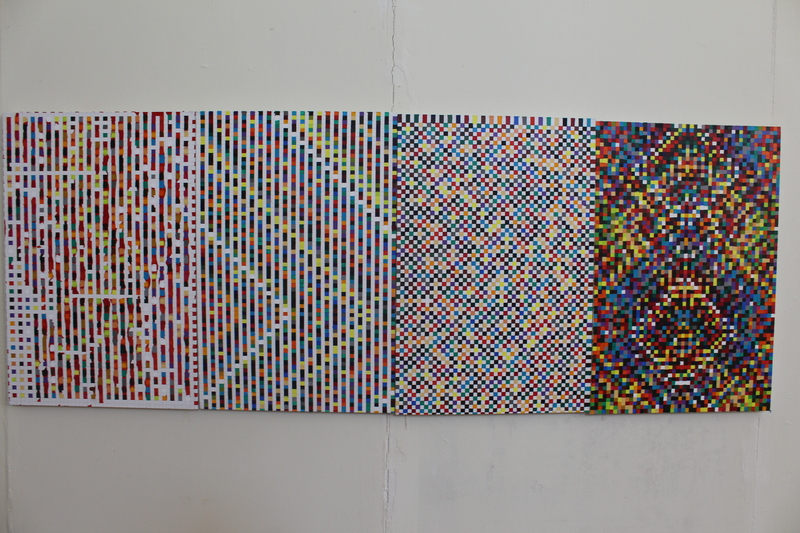 Sajid Ali employs square forms repeatedly in multiple layers to construct grid patterns on canvas. Random, arbitrary placement of squares deliberately alludes to the language of pixels in a digital image. He plays with human perception through visual elements of shape, color and form. Khytul Abyad takes the body as an experiencing medium that fills the gap between materiality and intangibility. 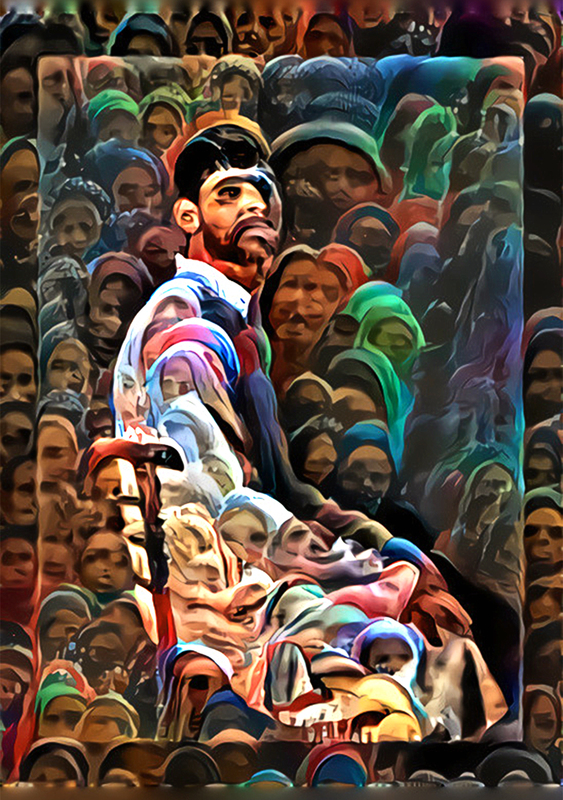 The body, in her work, becomes a carrier of spiritual existence as the artist internalizes experiences of living around shrines in her hometown Anantnag, Kashmir. The social, the religious and the ethereal sync with her bodily experience of spirituality as she recollects her memories through symbolic and indexical objects associated with the monuments. Sidra Asim uses displacement of form and function as her strategy, and works with household articles with the objective to present an alternate perspective of looking at familiar ‘ordinary’ articles. She selects recycled glass bottles and jars as surfaces to re-paint simplified, reductive narratives of color-field, abstract expressionist paintings (that have been created by male artists over a period of time). Decontextualized and re-appropriated kitchen shredders and cups also probe the viewer to gaze at the spectrum of domestic visual culture and gender roles. 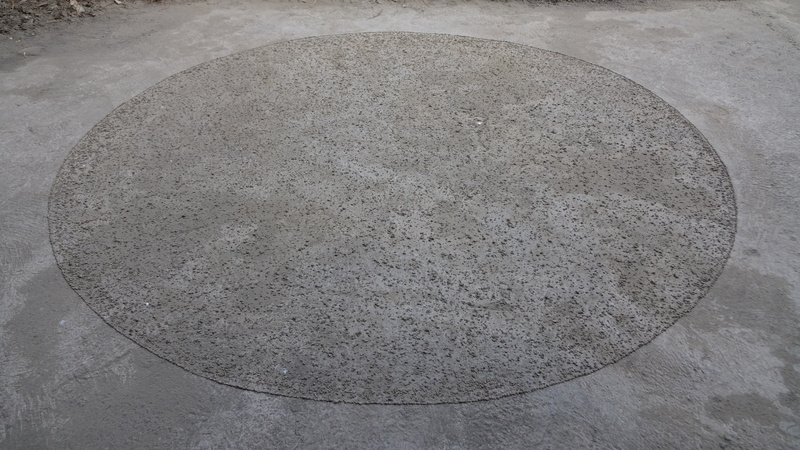 Hussain Jamil works with the nature of reflection. The trickery of mirror surfaces and the material’s inherent quality of lateral inversion, deception, responsiveness and spontaneity steers his artistic inquiry, while questioning the nature of vision, sight and illusion. Thava Thajendran dives into the art of being nothing. Deeply inspired by nature, he converses with it through object making, poetry and meditation. Thajendran draws connections between nature and himself. He meticulously gathers organic material and foliage from his environment, displays them in varied contexts and documents the ephemeral site-specific assemblages to create (give away) photo cards. Sana Waqar invents queer methods, tools and strategies to interpret 100 days of her summer last year. She works with abstraction as a form of coded language that is derived from a systematic (at times, intuitive) clustering of information about travelling routes, sleep patterns, fluctuations in emotional states, exercise and health routines, and certain intangible experiences of sight, sound, motion, time and memory. She gathers data through phone emojees and digital apps. Through logical precision and mathematical acuity, she records a set of bodily rhymes and patterns and transforms them into another sensory experience by creating an interactive musical wind instrument! With an endless combustion of ideas and a wide scope of making, it is challenging to achieve one’s creative analytical potential in a thesis project. Yet there is unabashed fluidity and a modest flow between visual, textual and technological concerns – between traditional notions of painting and sculpture – between different dimensions – between research and practice – between form and matter, and their possible intangible or metaphysical extensions. The young artists, with an inclusive language and a multi-modal approach to studio practice, have set the bar high for their own future projects, for their contemporaries, for pedagogical structures, for artistic grit and for future aesthetics.